Father Damien Day is celebrated in the American state of Hawaii on April 15 every year. It is dedicated to a Roman Catholic priest and missionary who spent his life helping people with leprosy on the island of Moloka’i. 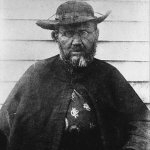 Father Damien was born Jozef De Veuster in Belgium on January 3, 1840. Having graduated from school, he joined the Congregation of the Sacred Hears of Jesus and Mary in Leuven and took the name of Brother Damien (Damianus). In 1864, he was ordained into the priesthood and sent on a mission to Hawaii. At that time the Kingdom of Hawaii was struggling with a public health crisis caused by Eurasian infectious diseases brought by immigrants, sailors and traders. They included influenza, cholera, smallpox, whooping cough, syphilis and leprosy. To combat the epidemics, Hawaiian King and the Legislature of the Kingdom of Hawaii established a settlement colony on the island of Moloka’i and required that the lepers of Hawaii to be moved there for quarantine. The settlers didn’t have access to proper health care and were short on food and other resources. Father Damien arrived at the quarantine settlement of Kalaupapa as a volunteer in 1873. He worked with settlers to build a church where he could served as a priest. In addition, he helped them build homes and furniture, made coffins and dug graves, dressed lepers’ ulcers, organized the construction of schools and hospitals, and more. Father Damien discovered he had leprosy in 1884 but he still continued to provide comfort for the settlers of Kalaupapa. He died of leprosy on April 15, 1889. Father Damien was beatified in 1995 and canonized in 2009. In Hawaii, his feast day is celebrated on April 15.